Deck the halls this season with a bigger, better and bolder Margaritaville® holiday bash than ever before! There's no better way to celebrate than gathering friends and family for a fantastically festive event that will make magical holiday memories to last a lifetime. For the ultimate Margaritaville® holiday party, you need the right Frozen Concoction Maker to serve a large group. The best-selling Margaritaville® Tahiti™ Frozen Concoction Maker® is just the thing, as it can mix up to 72 ounces of frozen concoctions in three different blending jars with fully-automatic operation. You can get three different types of frozen concoctions going at once - like a cranberry margarita, pumpkin cocktail and pomegranate colada - and quickly and effortlessly serve every guest at your party refreshing frozen concoctions, with room for seconds. In addition to your Margaritaville® Tahiti™ Frozen Concoction Maker®, make sure you have ample glasses, garnishes and toppings like cherries, whipped cream and orange wedges on hand to add some sparkle to each concoction. 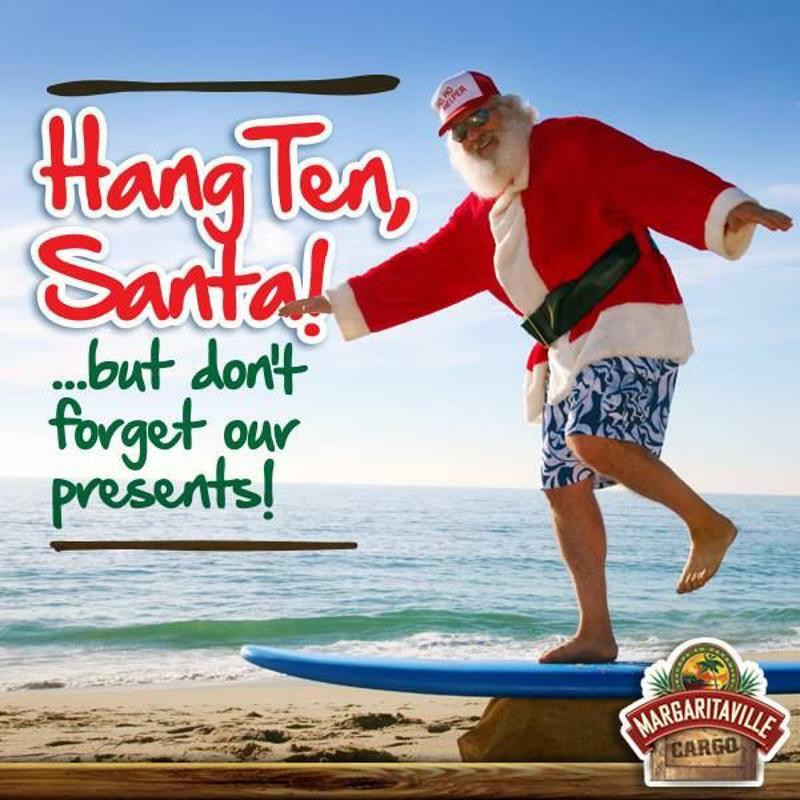 Celebrate Christmas with the ultimate Margaritaville® bash. A big holiday shindig requires space to stretch out - it's no fun if your crowd of party guests are contained to a stuffy room. Clear out area in the living room, kitchen, and, depending on the weather, the patio. Make sure there are enough comfy chairs available for guests to take a load off, and that there's easy access to the Margaritaville® Tahiti™ Frozen Concoction Maker® whenever they need a refreshment. Turn your home into a holiday wonderland straight out of a storybook with lots of festive decorations at every turn. Evergreen trees, wreaths and garlands are essential - be sure to deck them out with heaps of sparkling ornaments and shimmering tinsel. Multi-colored string lights add a fun-loving warmth to the air, as do lots of tea lights and candles. You can even add a splash of tropical style to the space with island-inspired touches, like tiki torches, beach balls or votive candles placed in glass cylinders filled with sand. Keep the focus on where it matters at your ultimate Margaritaville® holiday bash: the fun! Throughout the evening, play a variety of games, like pin the tail on the polar bear, coconut bowling, limbo or holiday-themed charades. Play island twists on classic holiday songs throughout the night to keep the fun-loving vibe going! A Margaritaville® holiday bash calls for more than just a table full of snacks - it calls for a feast for the senses! Arrange appetizers and other dishes on a large table covered with a festive cloth cover - or even shiny gift wrap! - and hold foods in sparkling red, green, silver or gold bowls and dishes. Decorate the table with garland, tinsel and ornaments and make holiday food dreams come true!